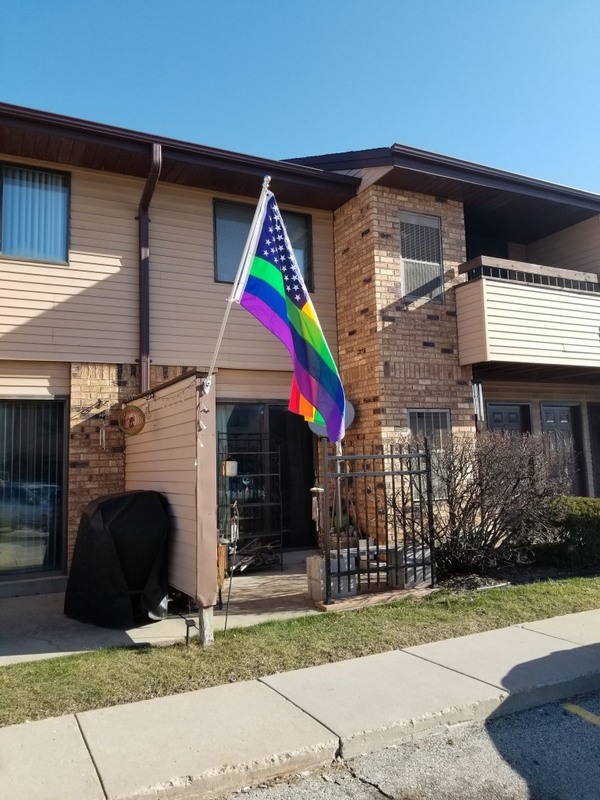 A Wisconsin couple said they were ordered by the property owner of their apartment complex to remove their gay pride flag or face eviction. Kevin Kollman and his partner, Merle Malterer, who rent a unit at Country Oaks Apartments in Oak Creek, Wisconsin, said they received a five-day eviction notice in the mail on Wednesday informing them that their lease would be terminated if they did not remove the gay pride American flag — which features 50 white stars and rainbow stripes — from the patio of the property. The couple was asked to take down a Green Bay Packers flag in January by the property owner so as to not appear as they were advertising for the football team. They complied then. But on Wednesday, Kollman said they sought advice on social media for what they believe is a case of “selective prosecution.” They contend they are being targeted because of their sexual orientation. About 10 to 12 others at Country Oaks Apartments have American and police pride flags hung from their rental units, they said. Kollman and Malterer said they spoke late last week by phone with Kenneth Bieck, the chief executive officer of Bieck Management, which owns their rental property, and he told them he wanted the flag removed because it was visible from the management office. They informed him that they plan to keep the flag up. They said they have flown their American flag in the month of July without issue and decorate their patio seasonally. Bieck did not immediately return a request for comment from NBC News. NBC affiliate WBBH reported that the property owner was open to discussing the issue and does not want to evict the couple. 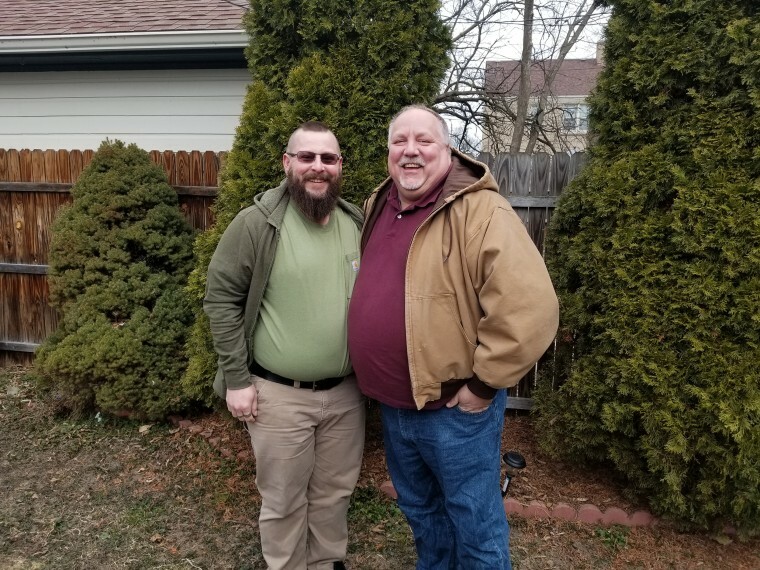 Kollman and Malterer have lived in their $870-a-month apartment for nearly six years and plan to renew their lease on Sunday. Check out the original story here: NBC Out.